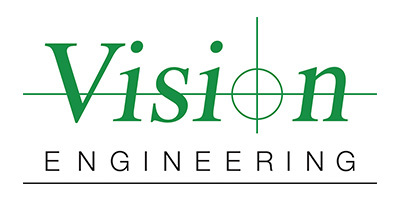 Vision Engineering Inc. is a global leading edge manufacturer of unique ergonomic stereo microscopes and non-contact measuring systems. 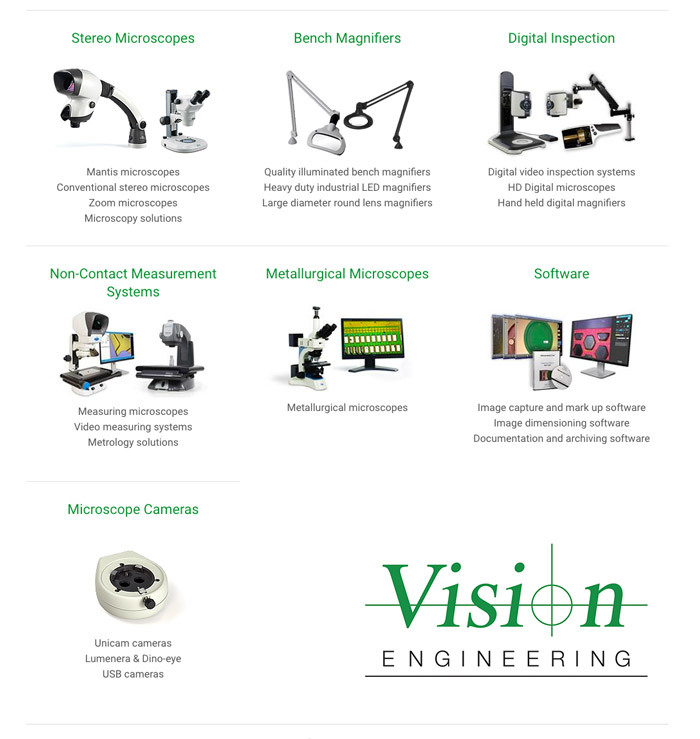 Since its formation in 1958, Vision Engineering has become one of the world’s most innovative and dynamic microscope manufacturers, with offices across North America, Europe and Asia, as well as a fully trained global distribution network. Designed in Britain, Vision Engineering’s hightech USA and UK manufacturing facilities ensure our customers’ benefit from high quality solutions. The company is now sharing its expertise offering contract design and manufacturing service, from product design, prototyping, manufacturing, assembly, logistics to commercialization of precision optical and mechanical products and instruments. With over 80% of manufacturing output exported, the company recognizes the importance of building strong distributor relationships globally, supported through worldwide offices. Vision Engineering has an established network of over 120 stock holding and fully trained distributors globally. Our experienced export team provides ongoing support to our distributor network and welcomes new distribution opportunities. Vision Engineering holds world patents for its unique eyepiece-less optical technologies, which remove the need for conventional binocular microscope eyepieces. Superior ergonomics offers unrivaled operator benefits, increasing productivity and reducing costs. A substantial R&D program has been the key to success, ensuring that products are continually developed to meet customers’ ever more stringent demands. Vision Engineering continues to lead in optical innovation with new technologies under development. Customers’ value the high quality of Vision Engineering’s inspection and measurement systems that have been proven in the most demanding applications. Extensive quality management processes enables the company to measure and maintain the highest levels of quality across the company. An approved supplier performance scheme ensures this quality is maintained throughout our supply chain partners. ISO 9001 accreditation Vision Engineering is a certified ISO 9001:2008 company.